Taj Exotica Goa- 5 Star property- presents the ultimate Mediterranean luxury which stands out unique at Benaulim Beach in south of Goa.56 Acres of manicured gardens and landscaped lush lawns welcomes every guest to experience the epitome of hospitality. 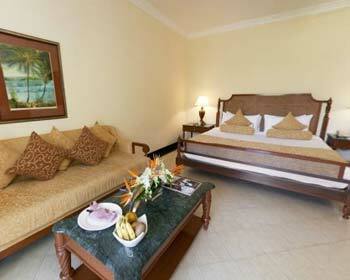 Exotica have the vicinity to reach every popular tourist destinations. From the hotel airport is just 45 minutes drive. 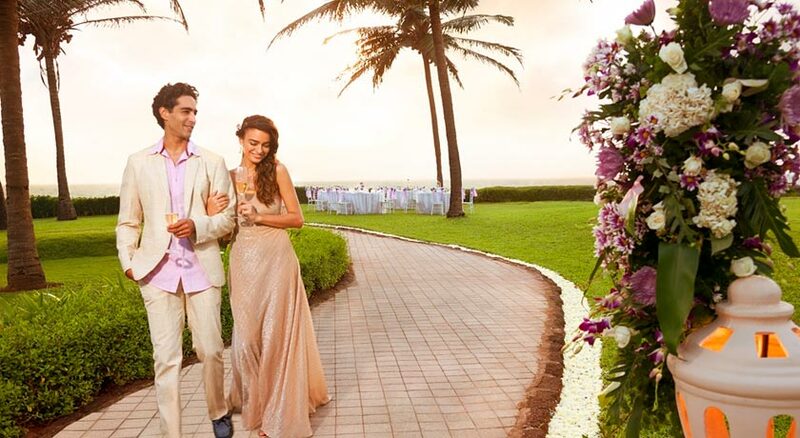 Reminiscent architecture, high end facilities and well equipped amenities- suffices every need of event. 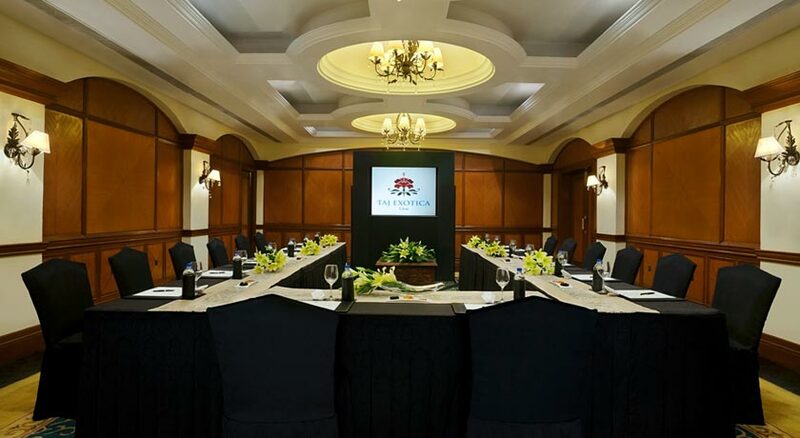 The 8 meeting rooms and 3 board rooms has the brevity of spaciousness and comprehensive facilities. 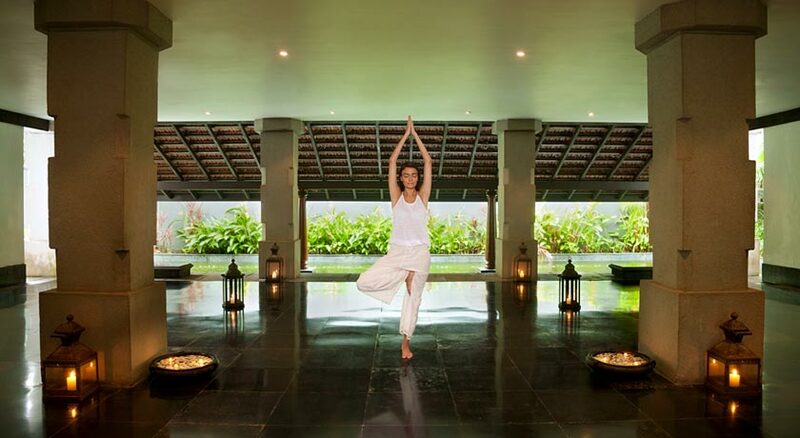 For rejuvenation and relaxation, the key advantage here is Jiva and Taamra Spa. 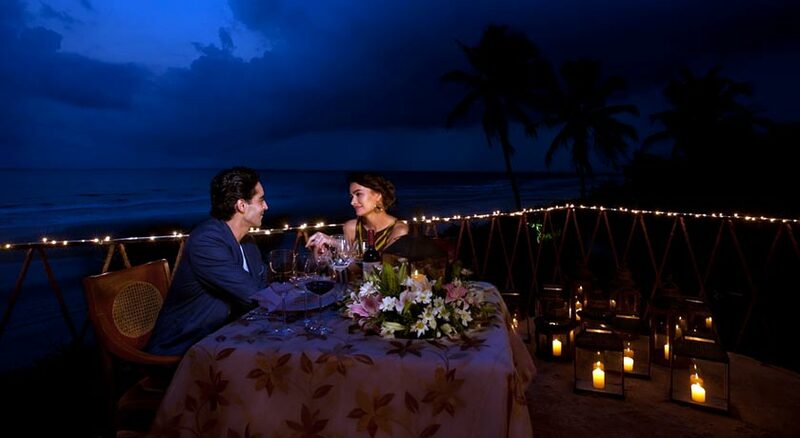 For exotic cuisines, speciality restaurants cater every need of guest taste buds. 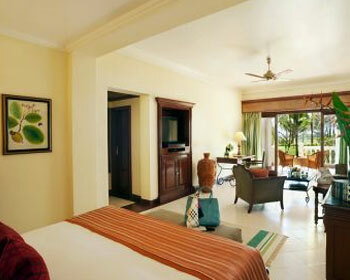 Different spacious villas and rooms does provide good sea, swimming pool or sun Set view. 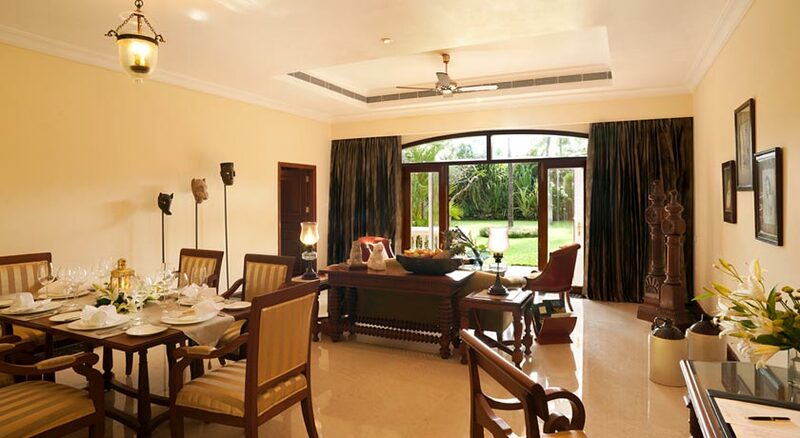 Situated in the main building, this room offers an exotic natural view of sea and birds chirping. 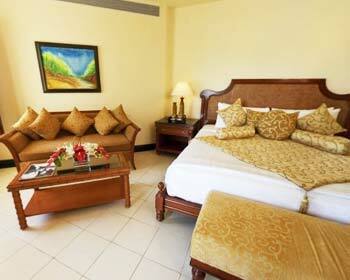 Here rooms are offered with well fitted and inbuilt Jacuzzi in bathroom. Enjoy the riveted facilities of DVD player, tea/coffee maker, mini bar, safe, colour television, direct dial telephones, Hair dryer and data port facilities. Rates for using Wi-Fi services may apply. Around the Clock, food services are offered. Watching panoramic manicured garden views through this villa is mesmerizing. The villa apprehends private balcony and veranda. It is worth experiencing the luxury with sheer comfort of spaciousness. The dynamic services are quick and faster you could enjoy the good hospitality. 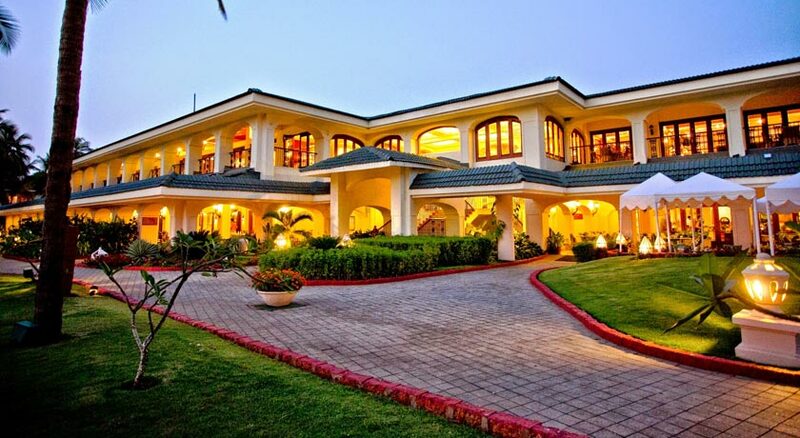 This villa is designed with the detailed attention and keeping in mind all the necessary amenities. With its exfoliating appearance it has the brevity all the modern amenities like colour television with satellite programmes, DVD Players, direct dial telephones and much more. 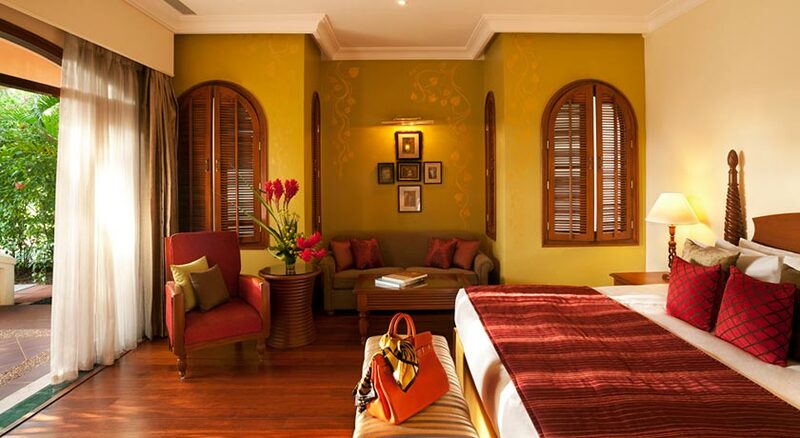 The room soothes our senses with Goan and Portuguese style interiors. 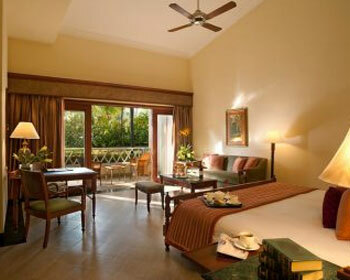 It provides beautiful and rear view which overlooks Arabian Sea and golf course. 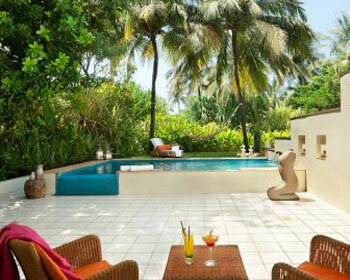 To cater to every need of relaxation and rejuvenation this room has the private plunge pool. It widely provides colour television with satellite programmes, hair dryer, mini bar and safe. 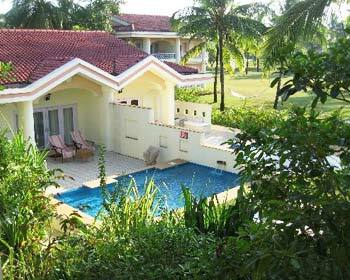 Resurfaced with additional amenities Sunset Villa presents the blend of golf and sea view. A large sized bed well nurtures the needs of relaxing time. The soft mattresses and comfortable pillows give a well deserved and peaceful sleep. Adding to the glimpse the ingenious private pool nurtures every need of luxury. Smart and trending amenities here complete the entertainment needs; the Villa has the presence of colour television and DVD Player. 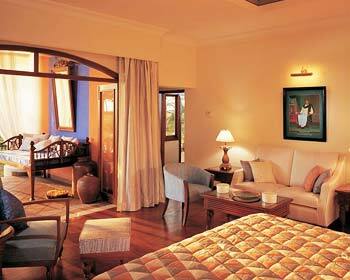 These villas are couture with homogenous interiors which quickly pleases every incoming guest. Every needs of ultra modern luxury are carefully taken into consideration. 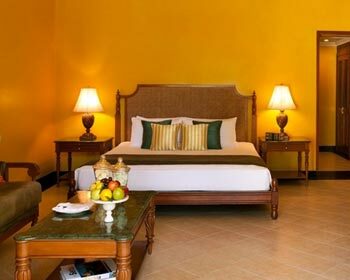 To suffice every requirement, trending amenities like colour television with satellite programmes, hair dryer, tea and coffee maker, DVD players ,direct dial telephones facilities are available in these villas. Dynamic and quick services are the additional advantages while staying here. 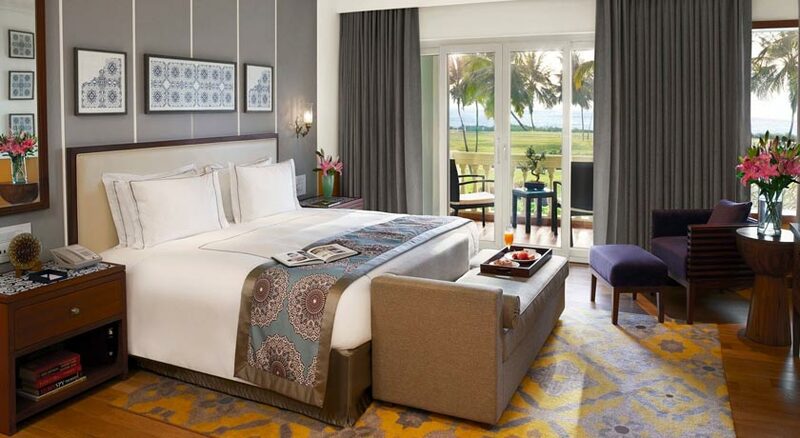 Suite, Situated in main building offers an enthralled sea view which brings you peace and curbs your every need of relaxation. The one bedroom suite has the brevity of spaciousness. Ingenious Jacuzzi fitted in the master bedroom brings to you the amazing experience of warmth and unmatched hospitality. The room is equipped with colour television and DVD Key advantage of this room it could be interconnected with the deluxe sea view room. The modern designed interiors and contemporary amenities make you feel live and homely. At every step, need of peace and privacy is considered with utmost care. To suffice the need of relaxation, the presidential Villa has homogenous private pool, private garden and a sea view. Non smoking rooms can be booked on request. 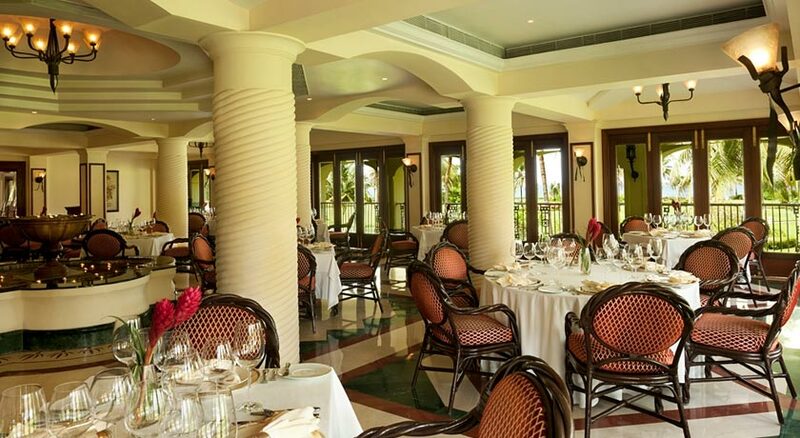 Designed well with Goa Artefacts; Eugenia brews the good aroma of coffee and serves the light snacks, lunch and dinner. Fully air conditioned with Wi-Fi facilities. Multi cuisines of the world can be experienced here. Contemporary style dishes with flair of perfect taste brings in with best of experiences. Casual attire is humbly welcomed. The restaurant is omnipresent from 7 am to 12 midnight. Also serves Jain, Gujarati food. Scrumptious Mediterranean food and enthralling Italian specialities offers the authentic taste of the cuisines. Alcohol can be serviced. With the garnishing flavour of basil the starters offer a comprehending taste. Signature food Char Grilled Rock Lobsters and filling Mexican apple pie dessert gives the finger smacking experiences. The Classy restaurant is open from 12.30 pm to 14.30 hours for lunch. 19.30 Pm to 22.30 hrs for dinner. Situated on the ground floor, the restaurant mainly focuses on Chinese Cuisines and other oriental delicacies. It serves the cuisines from Hunan, Sichuan, Canton. Dishes like Pecking Duck, Sichuan style fiery dishes from sea food to pork are worth a try. 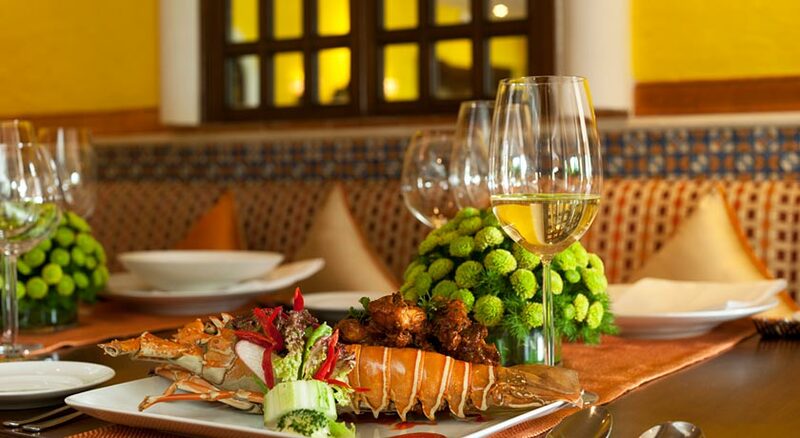 Signature dishes like Singaporean Chilli Crab and Pla Rad Prik brings the best of oriental style. The Place is vibrant with Live Music and facilities of outdoor seating, air conditioner, parking and Wi-fi connectivity. Open for Lunch 12.30 hrs to 14.30 hrs, Dinner- 19 30 to 22.30 hours. The restaurant having its presence on Ground floor is known for serving Authentic Goan- Portuguese Items. Brevity of areas offers multiple choices to the diners. One could enjoy the sea area by going at the alfresco area. The Classical Goan dishes are served here. Worth Visit place for sea food lovers. They specialize in Goan style stuffed fish and tiger prawns. Signature specialities here are Lamb Vindaloo and Prawn Bachaloo. Expect the imported Portuguese Wines with the authentic food. This restaurant offers buffet services. Algeria opens for Lunch at 12.30 hrs to 14.30 hrs for Lunch and Starts dining at 19.30 hrs to 22.30 hours. This stylish Lounge makes your every evening perfect. The menu has treasure trove collection of classic and contemporary style sprits and cocktails. Worth try delicacies here are classic prawn chilli olive oil skewers, Mojita, Chicken tikka, Palm kiss Martini. On request, special Hollywood style flavored Cigars are also available. The interiors are decorated with big sized movie posters. 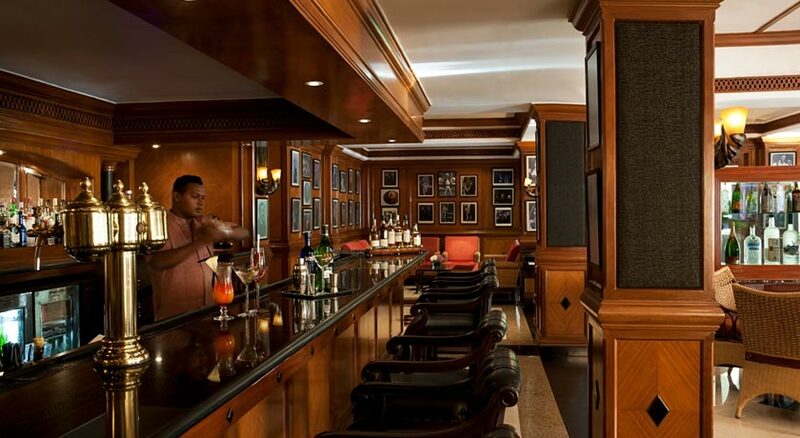 Throughout the day you can sip the taste of drink or could grab the best of offers in happy hours between 6 pm to 8 pm. Open from morning 11.00 to 22.30 hrs. 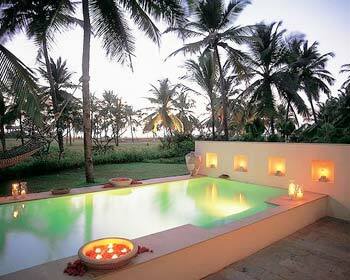 Apart from offering world class hospitality, Taj Exotica in Goa is also remarked for its Jiva Spa. The therapies offered are inspired from Ayurveda principles and follow the traditional practices. All the treatments provide an ultimate experience with a royal touch. Jivaniya – Relax those aching muscles with this treatment using exotic herbs. 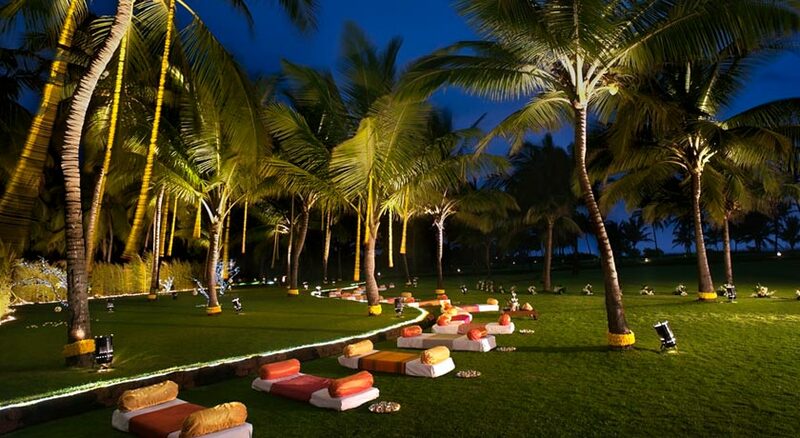 Sama ­– The yoga experience which involves asanas, breathing methods and conscious deep sleep. Shudikara – Detoxify your mind and body using ancient cleansing techniques. Champi – A very prominent head massage to enhance hair growth and regain natural shine. Pehlwan Malish – A dynamic massage favored by Indian wrestlers. Ventoz – Vacuum is created in a glass by heating which is effective in relaxing the sore muscles and knots. Sammardana –Boosts the mobility of the joints. Prishta Mardana – Get rid of shoulders and back ailments. Pada Mardana – Relieve your tired soles by giving them an intense massage. Vishram – It uses aromatic signature oil with extracts of Kewda to de-stress your body. Orja Dayaka – A special oil containing Nagarmotha, Patchouli, Tulsi and Ashwagandha is used to re-energize the body. Pavithri – Remove all the impurities using a unique mixture of oils. Masala – Feel the power of traditional Indian spices and find a new you. Mocha Patra – Soak in the purifying properties of the plantain leaf and get that extra glow. Narikela – A soothing treatment using the goodness of the coconut. Prithvi Mrit – Detoxify and firm up your body via 22 exotic Indian herbs and clay. Abhyanga Including Snana – Two therapists give massage to the body in a specific manner using lukewarm oil. Kati Basti – A boundary of herbal paste is made on the affected area and a medicated oil is poured in it. Pichu – Linen or cotton pads containing warm oil is placed on the sore areas. Udvartana – Revitalizes skin using herbal oil and powder. Consultation – Consult a doctor to know the problem in brief. Jiva Signature Facial – 100% herbal and natural products are used to suit every skin type. Tulsi Facial – A bliss for a dehydrated and dry skin. Champak Facial – A perfect blend of Lavender, Magnolia and Jasmine oil to regain natural texture of skin and its vivacity. Neem Facial – A cleansing ritual using benefits of Neem. Surya Namaskar – Welcome the morning sun in a right posture and be blessed with amazing benefits. Dynamic – Boost the flexibility of the body with right asanas. Advanced Yoga Nidra – Enhance positivity and attain utter relaxation. Jala Neti – Saline water is used to purify and cleanse the nasal passage. Kunjal Kriya – It cleanses stomach, chest and digestive system. Laghoo Shankhaprakshalana– Clear your intestines via intake of saline water.